Republican Steve Knight was sworn into Congress today as the new House representative for California’s 25th District, replacing retiring Rep. Howard “Buck” McKeon. Knight, who had been a supporter of the space industry while serving in the California State Senate, has been appointed to the House Science, Space and Technology Committee, whose responsibilities include NASA, FAA and other agencies. He is also a member of the House Armed Services Committee and the House Small Business Committee. 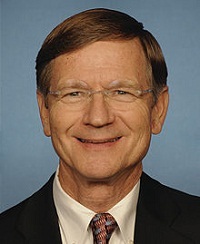 Washington, D.C. (House Science Commitee PR) – Science, Space, and Technology Committee Chairman Lamar Smith (R-Texas) and Space Subcommittee Chairman Steven Palazzo (R-Miss. ), sent a letter to NASA Administrator Charles F. Bolden, Jr. about reported delays to NASA’s Space Launch System (SLS) and Orion crew vehicle. The news comes despite congressional support above the Administration’s full budget requests and repeated Administration assurances that the exploration priorities are on schedule.